In the stifling days before the Galveston Hurricane of 1900, Isadora Khaled dreams of catfish and murdering her daughter, setting off a chain of events that will not be resolved until Hurricane Ike in 2008. The descendents of Isadora are defined by and eventually named after the hurricanes that shape their lives: Fatima, who enters into a doomed relationship with a visiting artist in 1961; her drug-numbed daughter Carla, desperate to get home in 1983; and Carla’s daughter Alicia, reunited with her heritage on a modern island embracing disaster culture in 2008. 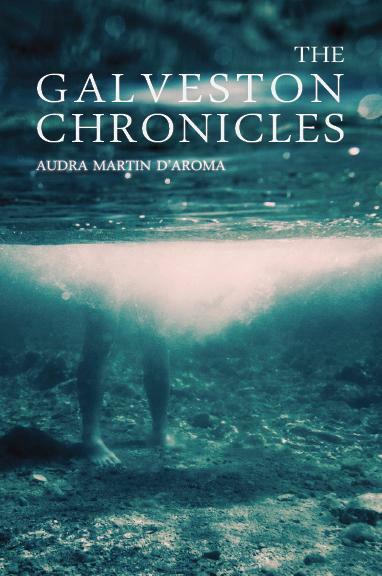 An epic tale, The Galveston Chronicles holds a mirror to the transformation of an unforgettable island, looking at the Gulf Coast region through the eyes of these women in the days preceding and following Galveston’s major hurricanes. I was born in Houston and lived there until I was 16. Then my family moved to Southern California. I started college at the University of San Diego, and transferred to the University of Texas at Austin. 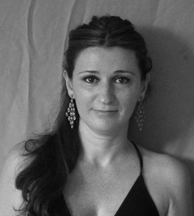 After graduating, I moved to London and then Italy, where I met my husband. We then moved to Chicago, New York, and Miami. We love to travel, but now that we have our first child, our objective is to let our son spend time with our families, so our main destinations are Houston, where my family lives, and Pescara, Italy, where my husband’s family lives. Whenever people ask this question, I honestly don’t know how to answer. I can’t remember ever not being a writer. I think it has something to do with growing up around a lot of extended family. There were certain family stories that everyone would tell a slightly different version of. I always felt that the truth was all of the stories, and it was up to me to sew them together. 3. In your words, what is The Galveston Chronicles about? It’s the story of four generations of women who have an intense pull to the island of Galveston, Texas, even though their lives keep getting interrupted by hurricanes. The novel spans a little over a century. It starts in the months before the Galveston Hurricane of 1900 with Isadora Khaled, a very rich woman who has a reoccurring dream about drowning her daughter. It ends in 2008, just before Hurricane Ike, with Alicia Delauney, a painter from New York who comes back in search of a family history that has been hidden from her. It is written in four different parts, but the character arc is really the bloodline of the Khaled women. No, my first (unpublished) novel was about a young guy who moved to Rome because he felt he was possessed by the spirit of Caravaggio. It had all of the elements of a bad first novel and when I realized that, I destroyed every trace of it. It’s finally starting to fade from my memory, but every now and then I will think of a scene from it and cringe. 5. What inspired you to write The Galveston Chronicles? I realized I felt more homesick in hurricane season than on regular national and religious holidays. I became really interested in how we respond to hurricanes, and what that says about the places we come from. My family was from Houston, but my grandparents had a house in Galveston and from childhood I always had a strong attachment to the island. In 1983 when Hurricane Alicia came through, my mother and I got stuck in Holland and I remember the dichotomy of seeing Europe for the first time and all of the old buildings, and then coming back to see Galveston houses and businesses destroyed. 6. How about some fun questions? If you were a plant or animal what kind would you be? We were just looking at family pictures from my son’s first birthday, and my husband and I thought we resembled a family of sharks. 7. What’s the last movie you went to see? How about the last book you read? The last movie I saw was Rush. It’s one of those movies I watch over and over, like the original version of Swept Away, the one directed by Lina Wertmuller. The last book I read was a book of short stories called Tell Borges if You See Him. It was written by one of my writing professors in college, Peter La Salle. 8. If you were stranded on a desert island with only one book which would you pick? This is cheating but I think I would bring The Portable Graham Greene. It has a few of his novels, essays, and most of his short stories. Last summer I almost went into premature labor because I started laughing and crying when I read “A Shocking Accident” for the hundredth time. 10. Other than writing, what else do you do to pass the time? I like to cook Lebanese food and I spend a lot of time going to museums and galleries because my husband is a painter. I like to travel. I recently had my first baby so I love doing anything with him. 11. If you won a multi-million dollar lottery what would you do with your winnings? Buy a house in all of the cities we love. 12. What’s your favorite vegetable? 13. Is there anything else you want Rozlyn readers to know? I think how Alayne and I met is a great story. We were introduced by Susan Doheny, one of her ex-professors who was a big fan of her blog, The Crowded Leaf. She convinced Alayne to read an early copy of The Galveston Chronicles. We went through our first round of editing before she had even launched Rozlyn Press, and I agreed with all of her changes, which surprised me. I like to tell the story to other writers because I think it’s proof that books find their own way of coming to life. Thanks to Audra for answering all of our questions. Stay tuned for more news of The Galveston Chronicles arriving early 2012.